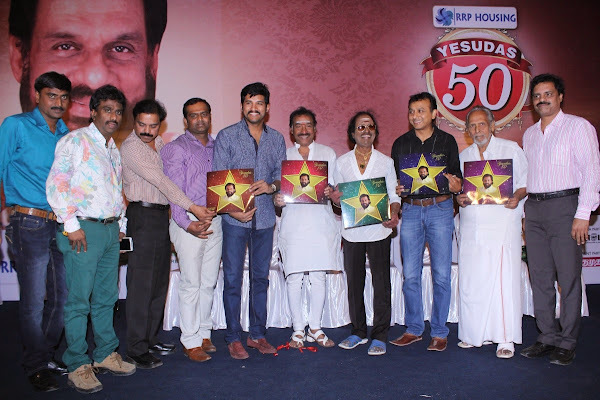 A grand event is being organised in Chennai on 25 January in which who's who of Tamil music world besides legends like Kamal Haasan will be present at a grand event being organized by Lakshman Sruthi Musicals to celebrate his 50 years in music industry for K J Yesudas. A musical night has been planned by M/S Tharangini, V Records & Raj events to felicitate ‘Padma Bhushan’ Dr.K.J.Yesudas, who has completed 50 plus years of successful singing career with more than 50,000 songs to his credit. A 50-piece orchestra will play along with K J Yesudas where in the hits of the legendary singer will be rendered. According to music composers like Shankar Ganesh and Deva, Yesudas is God's Gift and he should be celebrated. KJ Yesudas turned 75 on January 10, 2015. This much awaited program, six-hour long musical night will be held on 25th January 2015, Sunday by 4.05 pm at Nehru Indoor Stadium. The programme is also to celebrate the 75th birthday of the singing legend. The musical night will have his greatest hits by star performers of the industry and scores of leading Indian film fraternity, actors, actress, prominent music directors, singers, directors, producers, technicians and distinguished personalities from various fields will decorate the show and honor K.J.Yesudas. This event will be recorded and telecast in Vijay TV. The invitations have been printed in a colourful manner and for the convenience of the rasikas, tickets have been made available at multiple points – Lakshman Sruthi Musicals at Vadapalani, M6 Events at CIT Nagar near Nandi Statue & All Naidu Hall Branches. Sources say that the event will feature a special tribute to K Balachander and songs sung by Yesudas will be sung. For further details, contact: 99419 22322, 98419 07711, 88070 44521, 044 – 4286 7778. A musical night to celebrate the 75th birthday of the singing legend.